Who doesn’t love metal? Whatever sub-genre you’re into, there is something about crushing guitars, heavy drums, and soaring vocals that just moves you in a primal way. And at the heart of every great metal band is a guitarist with a stunning axe that delivers precisely the sounds needed to make it… Metal! But with so many choices, picking one of the best metal guitars can be difficult. So, we’ve made the decision a lot easier by bringing you our Top 10 Best Metal Guitars. We’ll be reviewing each one and letting you know its Pros and Cons. They are all excellent guitars, but which one is the right one for you? We’ll start this review with a superb guitar from ESP, the James Hetfield Signature Snakebyte. Now, where would metal be without James Hetfield and Metallica? The answer is obviously, nowhere. The band has carried their influences from groups such as Black Sabbath and Motorhead heavily, but have managed to refine the sound making them one of the best and biggest selling metal bands of all time and influencing nearly everyone who has come after them in some way or other. So, when James Hetfield and ESP decided to work together on a signature model, you can expect it to be something special. And, it most certainly is. As soon as you put a Snakebyte around your neck on a nice long strap, you instantly get to experience, the sound, the look, and the feel of Hatfield’s own guitar for yourself. It’s very well balanced, a lot better than most of the Explorers on which it is based, and makes it easy to switch between low-end chuggy riffs and high-flying solos in a second. It’s a thin-U contour, set-neck construction with a 24.75″ scale and features a mahogany body with a three-piece mahogany neck. The fingerboard is ebony and has 22 extra-jumbo frets with a snake inlay at the 12th fret. The locking tuners are from Sperzel. It’s powered by Hetfield’s own EMG JH ‘HET’ active pickups and features a TonePros locking TOM bridge and tailpiece. This, however, does not offer the ability to whammy, so if that’s your thing, then you need to continue reading our other great metal guitars under review. There are two color choices available – Black Satin or Snow White. It also comes in a lefthanded version. In a word, superb! It’s great for everything from tight palm-muted rhythms to screaming leads. It’s perfect for any guitarist with a wild and aggressive playing style, much like James himself. Basically, if you want to sound and look like a metal legend, then you can’t go wrong with this stunning guitar. The best way to sound and look like the legendary Hetfield. The hardtail bridge does not allow the use of a whammy. Known issues with the guitar developing cracks at the neck joint over time, but ESP are aware of the problem and can be contacted if it occurs on your guitar. The nut is not the best, considering the price of the guitar. In terms of his guitars, you can’t really get much more extreme, using numerous V-shaped twin ‘Double-Guitars’ over his career, as well as the infamous 4 necked ‘Quad-guitar’ which FHM Magazine voted in the Top 50 most outrageous moments in Rock ‘n’ Roll history. He has influenced generations of guitarists and changed the way the guitar is played. His lessons and techniques have inspired many major artists including Tom Morello, Dimebag Darrell, John Petrucci, and many more. This signature model from Dean thankfully only has one neck, but let’s be honest that’s all you need for 99.9999% of your playing. The Speed of Light Electric Guitar is however specially designed by Batio and Dean to be an incredibly fast guitar. The neck is super thin and slightly rounded for extra comfort, and it joins the body at a straight angle for extended playability. The double cutaway alder body has beveled edges and features a custom “Speed of Light” Finish. It has an ebony fingerboard with block inlays. It’s loaded with EMG active pickups and features a Floyd Rose Original tremolo bridge, with nickel hardware throughout, and Grover machine heads. The guitar is heavy but has a good ergonomic design making it easy to play. It weighs in at about 10 pounds and has the same feel when it’s around your neck as a 70’s very heavy (in terms of weight, not music!) Gibson Les Paul. Even though this will break your back if you use it for long sets night after night, it does have the advantage of incredible sustain and excellent tuning retention. The Floyd Rose is superb and will stay in tune after massive whammy bar dives and pulls – it’s perfectly built for the task in hand. The EMG pickups have a clarity and crispness that will cut right through a mix, either in the studio or on stage. The center pickup sounds bright, clean and yet full. The selector switch lets you choose five combinations among the three EMG pickups, which should give you more than enough tonal choices. This guitar is a lot of fun and versatile enough to play many different kinds of music. So, if you’re looking for a hard rocking axe with a quality Floyd Rose, you won’t be disappointed with this guitar. Great sound and endless sustain. The graphics may not be for everyone. It is heavy, but that’s what gives it the sound and sustain. 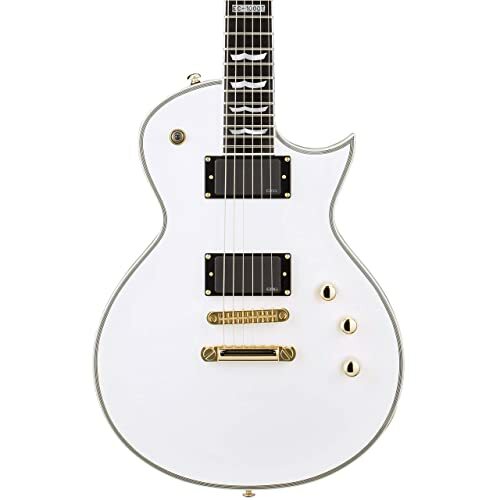 Here’s another guitar from ESP, the EC-1000T/CTM. 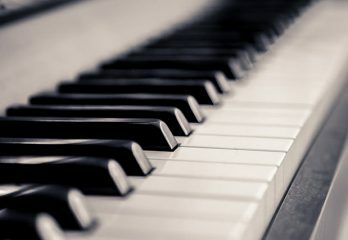 And, it was designed to offer working professional musicians the tone, feel, quality and looks that they need in a great instrument, without breaking the bank. Obviously, loosely based on the classic look of a Gibson Les Paul, this ESP delivers the look and feel of a traditional single-cutaway, thick-bodied rock guitar. It has a three-piece mahogany neck that is set into the mahogany body, with a maple cap and a 22-fret Macassar ebony fingerboard. It features a multi-ply binding on the top and back of the body, as well as on the neck and headstock. And, has a Tonepro locking TOM bridge and tailpiece, and active EMG 81/60 pickups. The body is chambered, i.e., sections of wood are removed from the body underneath the guitar’s maple cap to reduce weight. 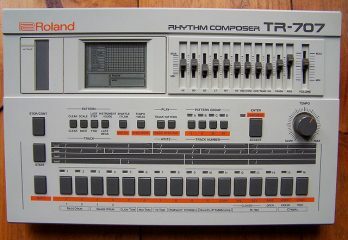 This is excellent for playing 3 hour live sets but does affect the sustain somewhat. 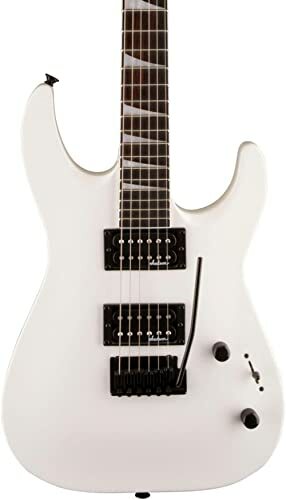 So, if you want a guitar with endless sustain, the Dean Michael Batio MAB1 we just reviewed, will do a far better job. It’s only available in one color, which is Snow White, which isn’t the most metal of colors in our opinion, but it does look great in it. Well, the best word to describe it is fun. And, we don’t mean that in a ‘toy’ like way, it’s a quality guitar that puts a smile on your face when you play it. In many ways it’s similar to the James Hetfield signature we started this review with, apart from the pick-ups and obviously the shape. It’s also quite a bit cheaper. It plays well with its slim and slick neck and will give you lots of low-end chug that’s so important to metal, as well as great lead tones. The pickups provide a very hot and bright signal which is perfect for solos, but you can easily calm them down by adjusting the tone knob a little for rhythm work. Fantastic features and sound for a very reasonable price. Only available in Snow White, which really isn’t the manliest of colors. No tremolo system, so no dive-bombing fun! We started this review with James Hetfield’s signature ESP LTD; we now move on by reviewing his band mate Kirk Hammett’s signature model, the ESP LTD KH-602. It features a neck-thru-body design and has an alder body, with a 3-piece extra-thin U-shaped maple neck. It’s got a rosewood fingerboard, with 24 extra jumbo frets, and Kirk’ signature Skull & Bones neck inlays. It’s a versatile, powerful instrument and features EMG Active humbuckers – a 60 in in the neck position, with an 81 in the bridge position – as well as, a double-locking Floyd Rose 1000 Series tremolo. The EMG 81s are great at delivering a sharp attack, with high output, and incredible sustain for solos that soar and shine. The KH-602 is based on Kirk’s go-to ESP Custom that he’s been using live and in the studio for years. And, this guitar is designed to offer the same unmistakable feel and tone as his Custom. 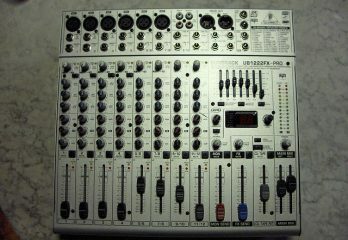 Let’s face it, it isn’t as good as its higher-end ESP cousin, the KH-2, but it’s very close and costs an awful lot less. It’s a very powerful guitar that has been designed for professional recording and live performance. It’s perfect for anyone who takes their playing seriously and enjoys creating intense music. Well, as you’d expect, it sounds great and looks superb. And, it isn’t just for fans of Kirk Hammett or Metallica. 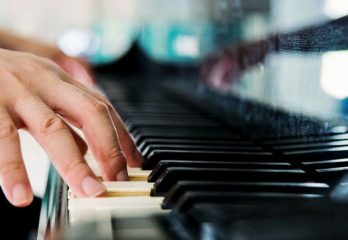 It can be used for many other genres such as progressive or even jazz. This separates it from the James Hetfield signature which is less versatile and much more – METAL! 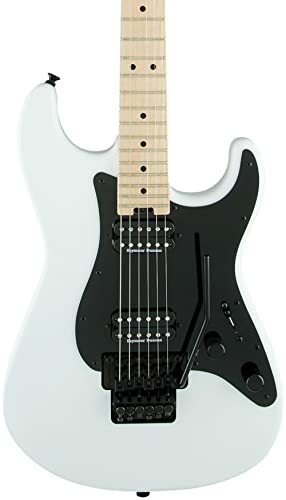 It has a very fast neck, so if you want to fly around the fretboard at blistering speeds delivering countless notes per second, this is a great choice. It’s quite simply a badass guitar all around. So, if you’re a lead guitarist, love Metallica and this style of guitar then this is the perfect guitar for you. Has the metal look that any lead guitarist earns for. The easiest way to sound like Kirk Hammett without spending a fortune on an ESP KH-2. Some buyers have noted some very minor finishing issues, such as colored flakes in the paint and small some paint ripples. Moving away from all the signature models, we have the Hellraiser C-1, a relatively affordable quality guitar which is perfect for metal from Schecter. The Hellraiser is highly acclaimed amongst players of all levels, with its ultra access 3-piece set neck and beautiful quilted maple top. Electronics are provided by an EMG Active 81TW pickup in the neck position and an EMG 89 coil tap pickup in the bridge position. 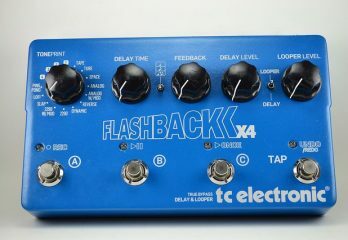 It features a TonePro Locking Bridge. 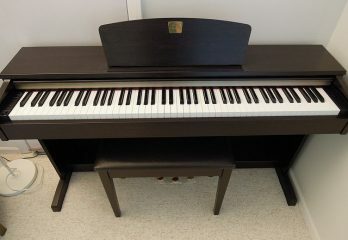 It features a mahogany body which adds to the warm sound it produces and has abalone BLK/WHT/BLK multi-ply binding. Abalone is also used for the Gothic Cross neck inlays. The guitar sounds great, either in regular humbucker mode or in any single coil configuration. And has an excellent sustain thanks to its string-through-body design. The fingerboard is smooth and quick, and it is generally a light and comfortable guitar to play. Sound wise, the Hellraiser is more flexible than you would imagine, but it really shines, as you would expect, in its role as a metal axe. Both the active EMG pickups provide a strong and pure tone. The neck plays well and feels comfortable, particularly further up the fretboard. The intonation is good with help from the locking tuners, and the EMG noise-canceling system works beautifully, making sure that the guitar produces very little hum. The finish is top-notch with Schecter’s usual attention to detail. The shape is beautiful, and the color is striking, it’s a fine looking guitar that anyone would be proud to call their own. This along with the great action and the fact that it can play with any tone you want, make it highly recommend for any serious guitar player. It comes with a Schecter SGR1C Style Case to transport and protect your guitar. Quality pickup choices producing not only great tones but a variety of different ones. A few buyers have complained of receiving guitars which have not had any factory set-up. How can a Charvel be the ultimate shred guitar you must be asking yourselves? Well, the answer is simple – Eddie Van Halen. Charvel and Kramer were the first guitar companies to come up with the concept of The Original “Hot Rod Guitar.” This was way back in 1978 soon after Eddie Van Halen played the Eruption solo which instantly changed the history of the guitar forever and turned the ways it could be played on its head. This latest incarnation of that classic guitar uses Charvel’s current pickup choice which has a more muddy/gritty sound which will be perfect for many players. But it isn’t quite the Dimarzio Van Halen pickup sound, which was more musical and pleasing to the ear. But, if you do want that, all you need to do is change out the pickup. It’s made of alder with a maple fingerboard and features two split-coil pickups which offer a variety of sounds from rock to metal. It is only available in two color choices, snow white or neon yellow, so get your sunglasses ready if you choose that one. The neck is smooth and very comfortable making it easy to play fast. Its classic playability, as well as, the innovative design elements make this Charvel another future classic and continues the companies legendary tradition of creating high-performance axes. Great metal guitar from a legendary brand. Fast and easy to shred on. What else could you choose to tap to your heart’s content and play Eruption on? Only available in two color choices which may not suit a lot of players. Next up with have another signature model, this time it’s Avenged Sevenfold’s Synyster Gates Schecter. The band’s musical development, as well as advancements in Synyster’s own songwriting, have seen Avenged Sevenfold move from the metalcore sound of their first few albums to a more standard Heavy metal sound of albums such as City of Evil and Nightmare. This further developed when they released their last album, The Stage, into more of a progressive metal sound. And this wonderful guitar from Schecter will cope with all the sub-genres of the band’s career with ease. 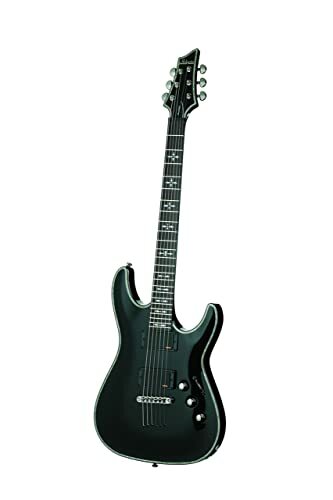 The Schecter Synyster Custom is made from mahogany and has a single-ply black binding. The bolt-on three-piece neck is also mahogany and features carbon fiber reinforcement rods for additional strength. The neck profile is an Ultra Thin ‘C,’ and it has 24 X-Jumbo frets on an ebony fretboard with a Pearloid ‘Syn’ w/Death Bat inlay at 12th Fret. 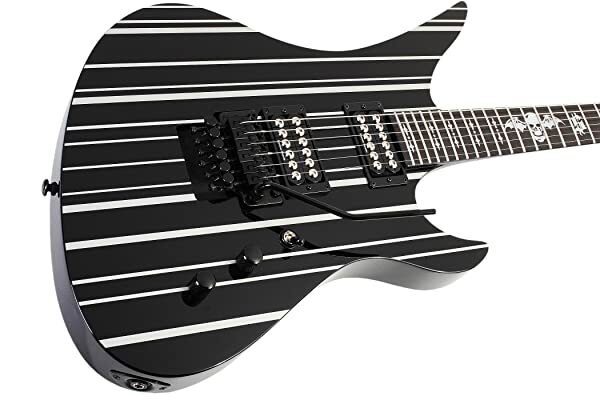 It features Schecter Diamond Synyster Gates Signature Humbuckers in both the neck and bridge positions and the locking tremolo system is a Floyd Rose Special ‘Hot Rod’. It comes in a very distinctive gloss black finish with silver pinstripes in varying widths. Fair play to Schecter, this is a quality instrument with quite the variety of sounds thanks to the dual humbuckers, which can both be coil-split basically making them into single-coil pickups for a cleaner, more strat-y sound. 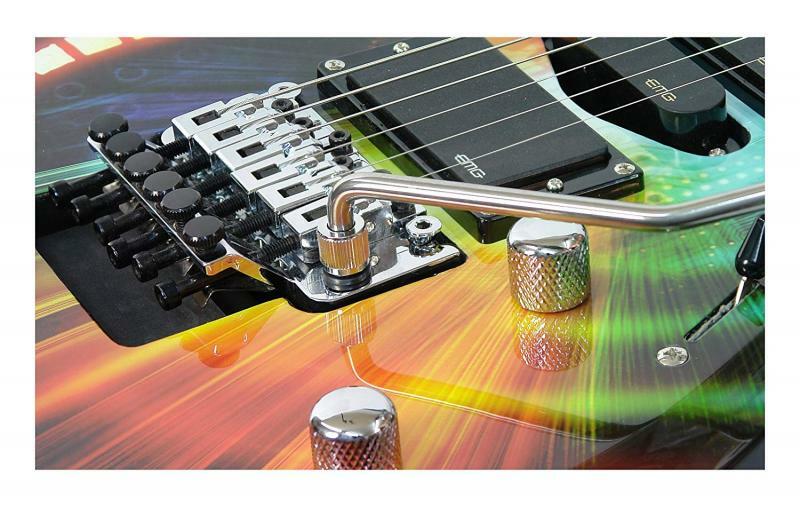 The Floyd Rose Trem system works very well and is actually an exclusive design that is only used by Schecter Research. This along with the locking Floyd Rose Special nut hold the guitar in tune very well, even with heavy pulling and diving on the trem bar. 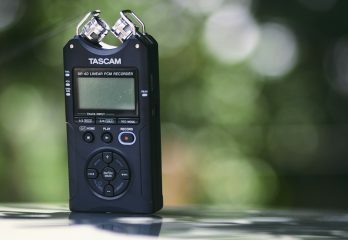 It’s got a great metal sound, but remember as mentioned, it isn’t just a one trick pony and the intelligently designed electronics will let it do a lot more if needed. The pick-ups also have a little distortion of their own, so even when running through a completely clean amplifier, you still get a very small amount of grit to your sound which is excellent as long as your not playing songs by The Byrds or The Smiths. With its great versatility, individual looks and solid build quality, this is a very easy guitar to recommend for any metal player. Or even to a lot of other guitar players in different genres, who fancy playing something a little bit different. The easiest and best way to get the Synyster Gates guitar sound. Very distinctive look and feel. As with all Floyd Rose systems, changing the tuning is a lot of work. If you’re looking for something much more affordable than the majority of the guitars in this rundown of the best metal axe’s. Then how about a Squire Contemporary Strat? You don’t usually think of a common and garden Strat as being a metal guitar, but they have been widely used by a number of rock and metal guitarists including Kirk Hammett, Andreas Kisser from Sepultura, Dave Murrey from Iron Maiden, Jim Root from Slipknot, Fast Eddie from Motorhead and of course Yngwie Malmsteen. Rock strat players are of course countless. And Strats get even more metal when they have a reverse headstock, a pair of humbuckers and a double locking tremolo system on them – which the Contemporary Active Stratocaster just happens to have. It features Squier Dual Active Ceramic humbuckers which give it solid, modern and aggressive tones. The neck is maple with a slim ‘C’ profile and features jumbo frets. 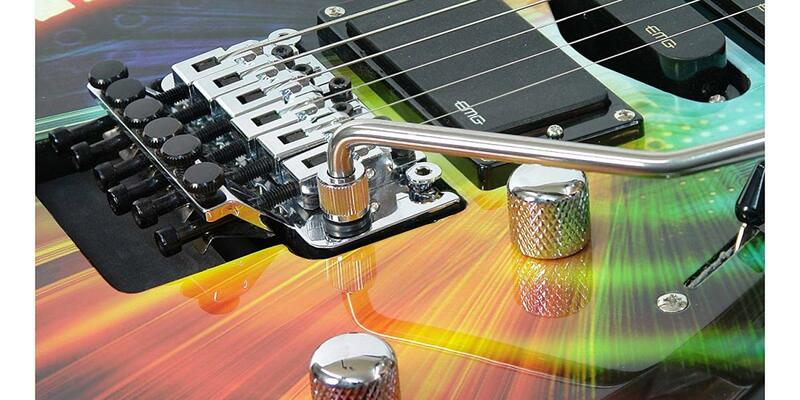 The trem is a dual locking Floyd Rose, and all the hardware is black chrome-plated. For the price, it’s an outstanding choice for the modern metal player who is looking for progressive features, as well as an authentic vibe and style that only a Strat can provide. The neck has a slick, smooth feel, while the radius and its jumbo frets make it ideal for speed playing and effortless string bending. It is, however, an unfinished neck, i.e., it has no lacquer or varnish on it. Some players like them a lot, others apply lubricants such as lemon oil, others are not so keen on them. The Floyd Rose tremolo works very well, even under the most extreme vibrato abuse and maintains reliable tuning stability. The active humbuckers are very hot producing powerful tones which are superb for soaring solos, as well as, down and dirty crunch rhythms. Classic Strat styling with all the extras needed to make it great for metal! Produces a variety of usable sounds. Affordable compared to most of the guitars in this review. The un-finished neck may not be to everyone’s taste, especially as it looks dirtier and dirtier as every year goes by. We stay with the lower end price wise and come to what is not really a signature model, but more of an homage to one of the finest guitarists to have ever walked the earth, Randy Rhoads. Randy started off in Quiet Riot before becoming Ozzy Osbourne’s first guitar player when he went solo after leaving Black Sabbath. His tiny frame and love of Flying V’s is an image which is clearly set into the minds of all lovers of great music and guitars as he mixed metal and classical and wrote and performed such classics as Crazy Train, Mr. Crawley and Goodbye to Romance. The JS32 Rhoads features a basswood body, with a maple neck and rosewood fingerboard. It has a pair of Humbuckers and a Jackson floating vibrato tailpiece. This along with the locking nut keep it nicely in tune. It has a superb feel with a great neck that just asks you to shred on it. The sounds it produces are what you would expect, high quality but not quite having the lower end brutality of some of the earlier guitars in this review. But, that simply wasn’t the Randy Rhoads sound, this guitar has solid mids and lows without going into the muddy depths of sub-bass, the highs, on the other hand, are shimmery and bright as Randy was famous for. It looks fantastic, the black gloss with white bevels which are not only featured on the body, but also go along the neck and around the headstock give it the look of a very expensive guitar, which it isn’t. Well done Jackson, this guitar will confuse a lot of people as to its value. A great guitar with fantastic looks, a solid sound and immense playability for an unbelievable price. There really is nothing that you can’t like about this guitar! It comes in three similar color choices, the nicest is the Black with White bevel we have featured in this review, but there are also Satin Grey and Ivory versions which are even slightly cheaper than this already very reasonably priced guitar. Incredibly affordable for such a superb guitar. Very fast and playable neck. Not the best shape for playing sitting down. Pointy shaped guitars are not for everyone, especially country players. And finally, for this rundown of the best metal guitars, we have the least expensive, and it’s another Jackson product – the JS22 Dinky. It may not be expensive, but it certainly isn’t a ‘cheap’ guitar either. Jackson has made it using mid-priced materials, but the quality of workmanship is still very high. If you don’t want to spend a lot of money on a guitar for metal, then this is a great choice. It’s made with an arched basswood body and has a rosewood fingerboard on a maple neck. It features a pair of Jackson humbucking pickups and a Jackson Tremolo. The pickups are really hot, sharp and crunchy when needed, but clear and clean if you back them off a little. 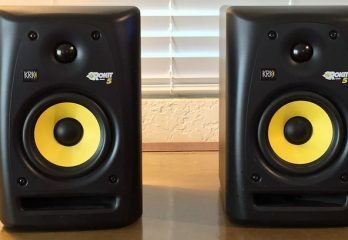 They sound fantastic for the low price, of course, they are not Seymour Duncans, but you wouldn’t really expect that considering how little it costs. The action is smooth and low, and the guitar plays super fast. It’s basically a joy to play, especially when you consider the low, low price. It is highly recommended for any metalheads on a budget, or as an intermediary guitar to get your chops down before moving on to a more expensive metal monster. Color choices are our favorite, the Metallic Blue. Alternatively, Snow White or Satin Black are also available. Plays and sounds great for the price. It isn’t as good as a lot of other guitars in this round-up but it about 20% of the price of most of them. Take that into account, and it’s a fantastic buy. So, What Is The Best Metal Guitar For You? In this review, we’ve run down ten of the best metal guitars currently on the market. They are all excellent choices, and the one that is best for you will mainly depend on your budget. Regarding features, they are all pretty similar; most have a pair of humbuckers and a Floyd Rose or similar. What you are paying for with the higher priced guitars is a better build quality, higher sound quality and often the association and endorsement of a big name guitarist. Even though it was near the top of the guitars in terms of price, it won because of its incredible build quality, playability, looks and most importantly, the range of tones it could produce. It is fantastic at all the necessary Metal lead and rhythm sounds, but it could also do so much more. Some players may never need these non-metal sounds, but a variety of usable tones is a very useful thing to have for most guitar players. Honorable mentions also go to the ESP LTD Snakebyte for being so good and just so Metal! 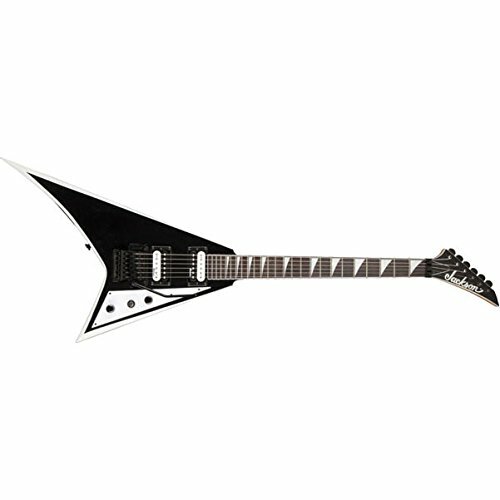 And the Jackson JS32 for being an exceptional guitar for such a low price. They both came in a very close, joint second place position. Have fun choosing your perfect metal axe and enjoy shredding and chugging to your heart’s content when you get it!